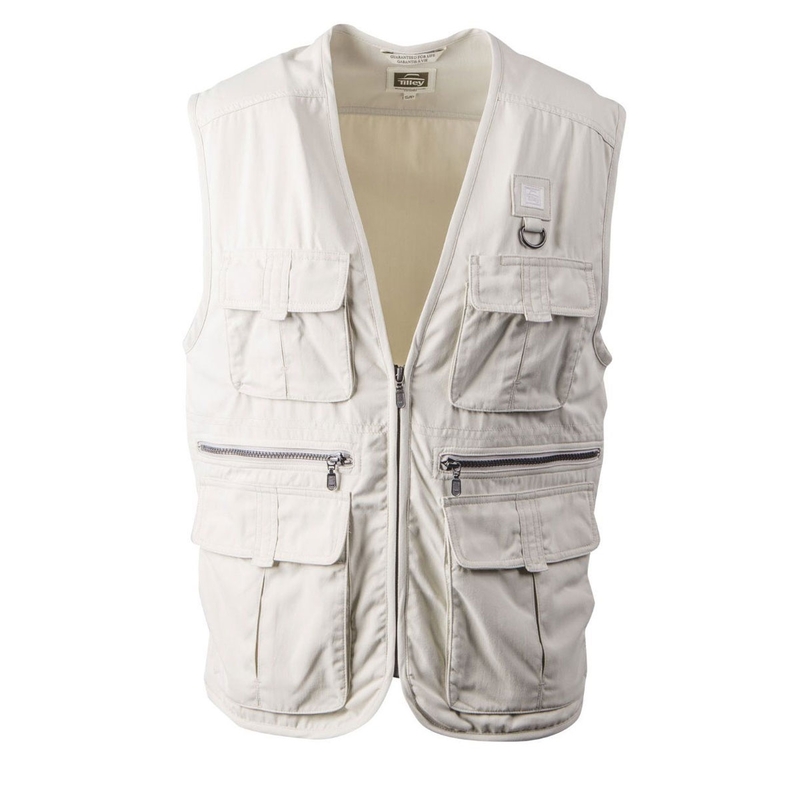 Tilley Outback Vest. A great substitute for a bag, you can load up this 12-pocket Legends Outback Vest with valuables instead. 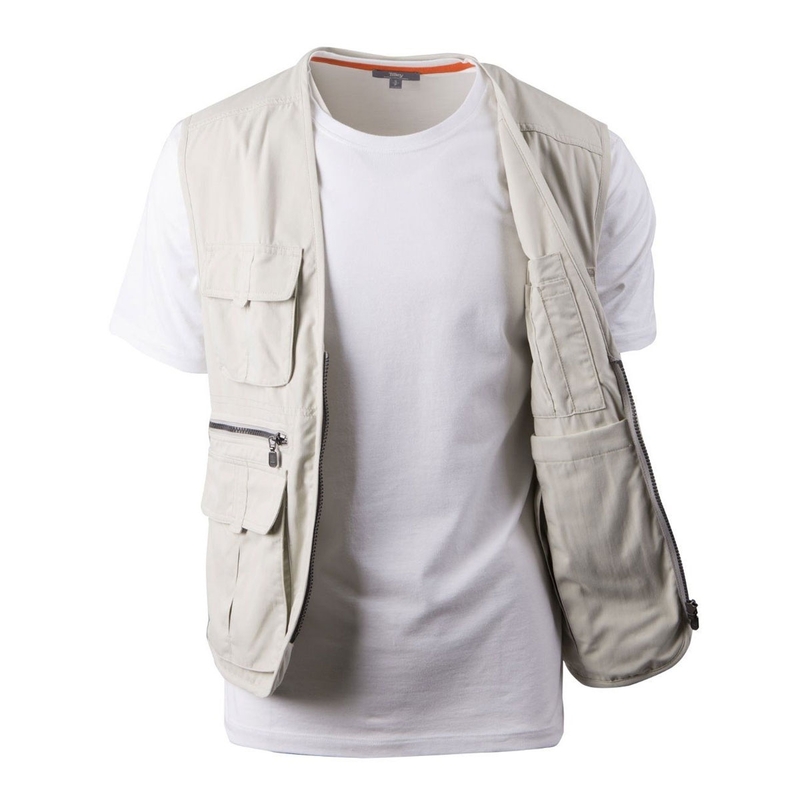 Wear it on the plane for extra carry-on but if you prefer to pack it, it packs small too. Centre back length: 26 1/2"
Care: Machine wash cold or hand wash cool. Tumble dry on low or smooth out wrinkles and hang to dry. Do not bleach, dry clean nor use fabric softener. Iron on low.